I recently re-read Stephen Crane’s Civil War classic, The Red Badge of Courage. As I was reading, a passage jumped out to me. My inner therapist got excited, reached for a pen, and marked the paragraph, writing in the margin, “fear of openness and vulnerability”. The passage describes young Henry Fleming as he anticipated his first battle. He is full of fears and insecurities. What if, in the heat of battle, he ends up proving himself a coward and runs away from the fight? He wishes to share his thoughts, in hopes of finding that he isn’t alone in his fears, and to be encouraged regarding his capabilities. But he also fears admitting to having those worries. And so he scanned the group, hoping that someone else would be vulnerable and express their fears first. He desperately wanted connection and validation. But he feared being rejected and derided. His thoughts were human. Rather than being about doubts of succumbing to fear in battle, these same insecurities could describe someone who is about to say “I love you” for the first time. It could describe a spouse admitting to their partner about their fears concerning becoming a parent for the first time. It could describe any disclosure of feeling afraid or inadequate. Everyone feels inadequate at times. And when they do, they yearn for comfort, connection, and reassurance. However, before inviting that healing salve, they must first reveal their woundedness. And that degree of vulnerability can be scary. It requires removing their armor so that the wound can be treated. But, in removing the armor, it means that they are exposed and can be easily hurt. People need connection and intimacy. This requires vulnerability. And to be vulnerable requires trust and courage. Most people have been hurt before. Sometimes by those who were never trustworthy, and sometimes by well-meaning individuals who did not recognize the need for sensitivity or who perhaps never learned how to nurture. If you and or your partner do not know how to respond to the other’s vulnerability, therapy with a Marriage & Family Therapist might be helpful. It may be tempting to just keep your armor on. But ask yourself, would you rather never hurt, or feel connected to those you love? Connection requires courage. It requires courage to expose your true self. And sometimes, it first requires the courage to seek the help to know how to connect. In DreamWorks’ How to Train Your Dragon, a young misfit Viking named Hiccup injures, contains, and then befriends a dragon whom he names Toothless. Contrary to everything Hiccup has ever been told about dragons, Hiccup learns that these allegedly fearsome monsters are actually no different than he is: inherently good, but scared. During the evolution of Hiccup and Toothless’ relationship, Hiccup learns a trick that makes the difference between dragons being pests and fiends, and pets and friends. In the movie, whenever the dragon sees Hiccup with a weapon, he assumes a defensive stance which involves a facial expression in which the dragon bares his teeth. When this happens, Hiccup becomes frightened and moves away to protect himself. If they were to connect while in this state, it would lead to them hurting each other. Fortunately, Hiccup learned that if he is willing to remove his dagger, Toothless changes. He becomes…well, toothless. His teeth no longer show and he resembles a curious and playful cat rather than a man-hungry beast. Healthy connection is now possible. This pattern also applies to humans in relationships. If we feel threatened or attacked, we become defensive. We subconsciously go into a fight or flight mentality. Even though most people are not threatened by physical weapons, we still come armed with other ways of hurting or threatening those around us. It may be a facial expression, an accusation or name-calling. If we approach someone else and it seems to them like we have the power to hurt them, they are naturally going to want to protect themselves. And guess what? 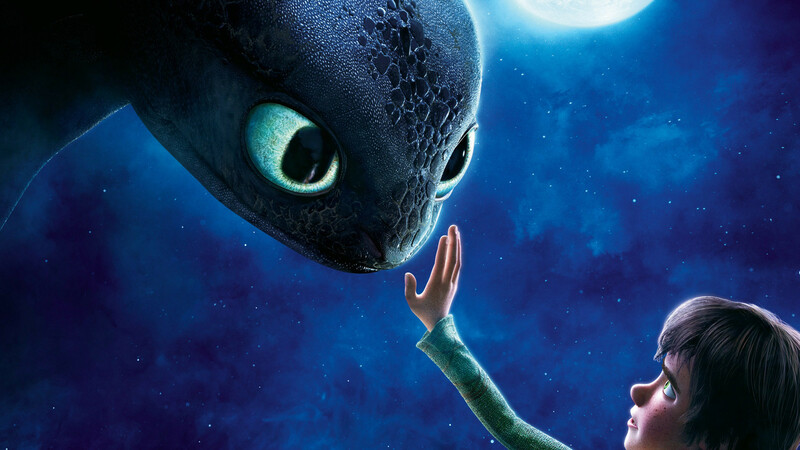 Just like with Toothless, or shall I say not-so-Toothless, our self-protective defenses look a lot like weapons. Which invites our partner to be defensive. It is a cycle that goes on and on. The first step is to approach your partner. You aren’t going to connect if you aren’t within reach of each other. This often requires courage and a belief in the innate goodness of the other person. The next step is to make sure that you have dropped your weapons. If you approach a conversation with a criticism, with blame, or in any way that is interpreted as attacking, your partner is likely to see you as a threat rather than as a person. Next you must remove your armor and shield. You must exercise the courage to be vulnerable. This requires trusting your partner, and it also means that you risk being hurt. Your partner, if they are accustomed to being disrespected or insulted, may challenge your genuineness or anticipate a trap. You have to let any negative comments or accusations hit you without you reacting defensively. And it may hurt. Or feel unfair. This step requires great courage, and in some cases, longsuffering. But remember this: It is necessary to be vulnerable in order to have real and healthy relationships. The next is to invite connection. Perhaps connecting involves reaching out physically. Perhaps it is asking a question and starting a conversation. Perhaps it is referring to a shared memory. Maybe it is giving a compliment, offering an apology, or inviting your partner to do something with you. Then wait and accept your partner’s response. Weapons, shields and armor exist to protect our vulnerabilities. Regardless of the scenario, being truly open and vulnerable is hard. For someone who has been hurt before, vulnerability is even more difficult. It requires great courage. Truly living and truly connecting with others at an intimate level requires authenticity and vulnerability. The cultivation of courage to drop defenses and be real is a worthy goal of every person. So, are you feeling brave? Maybe it is time to train a dragon. Disclaimer: If you are in a genuinely unsafe relationship, being vulnerable would expose you to further hurt and would be inappropriate. If you are in a relationship that is physically or emotionally abusive, please seek help.